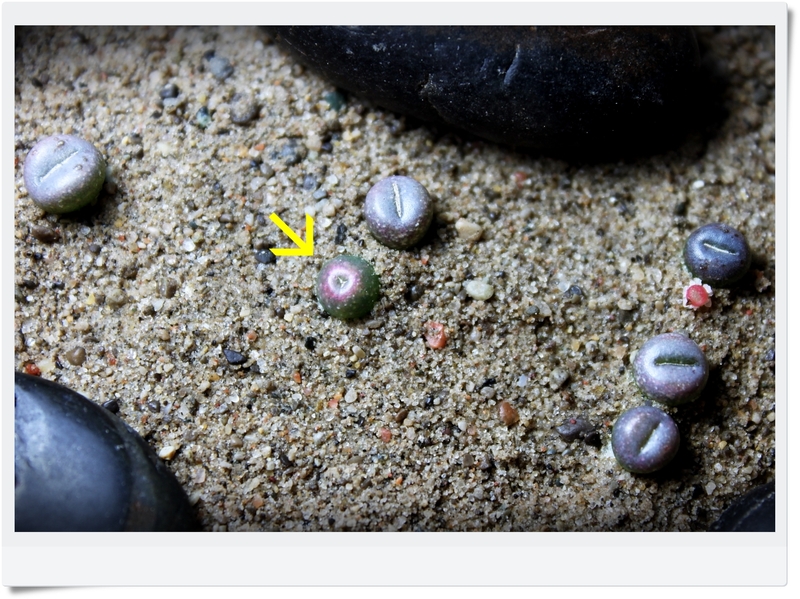 My two favorite Lithops varieties are Dorotheae and Aucampie. I think they are absolutely stunning with their markings and colours! So when I saw the seller I bought my last seeds from had some Dorotheae and Aucampie for sale, I had to go for it. 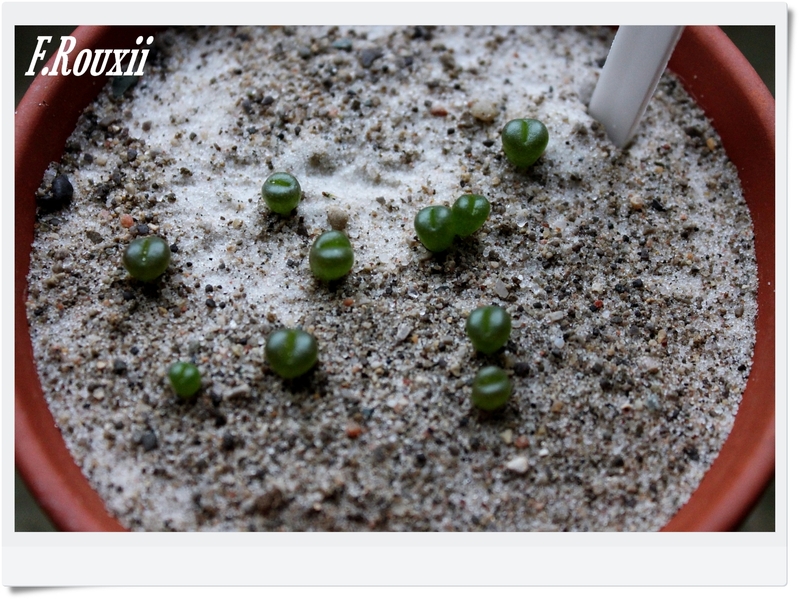 Since I was already buying some seeds, I thought it wouldn’t hurt to add some Dinteranthus Vanzijlii Pofadder seeds to the cart and three varieties of Conophytum! I’ve been wanting to try Conophytum for a while and figure I may as well buy the seeds in this shipment and save on shipping costs later. I’ll likely hold off on planting these seeds until next spring. It’s getting kind of late in the season and I’d worry about them making it through the winter if they got a late start. 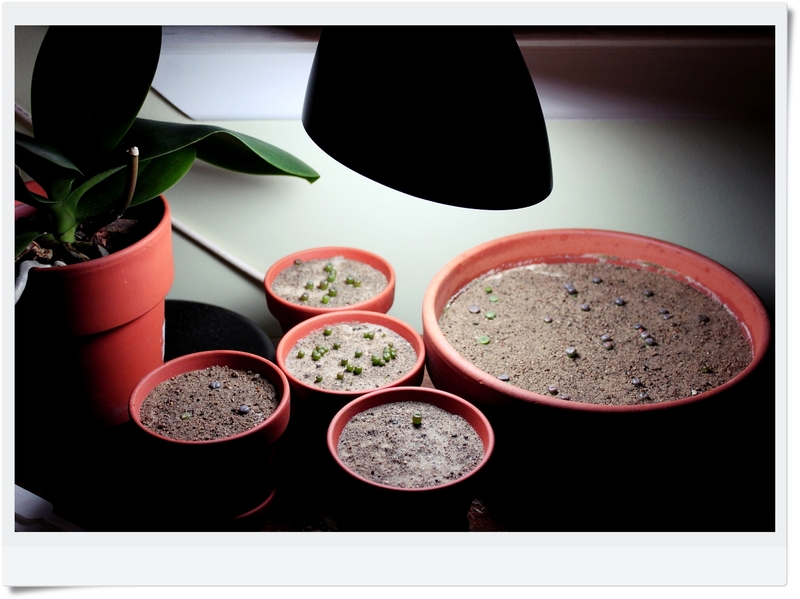 It’ll give me something to look forward to next year and my current seedlings should be well on their way, and in need of less care, by then too. This is becoming a real addiction – haha! I took inventory today. 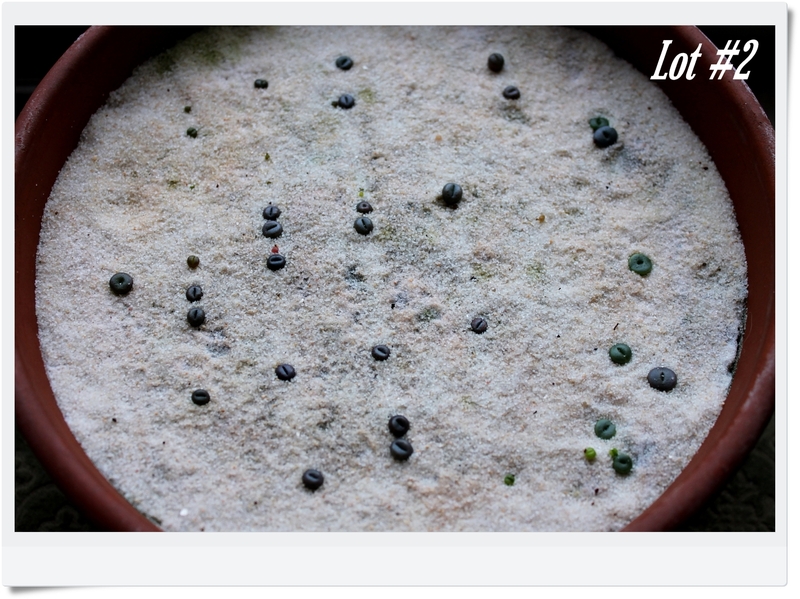 I have 74 Lithops seedlings. How did that happen! A group shot…this is everyone! 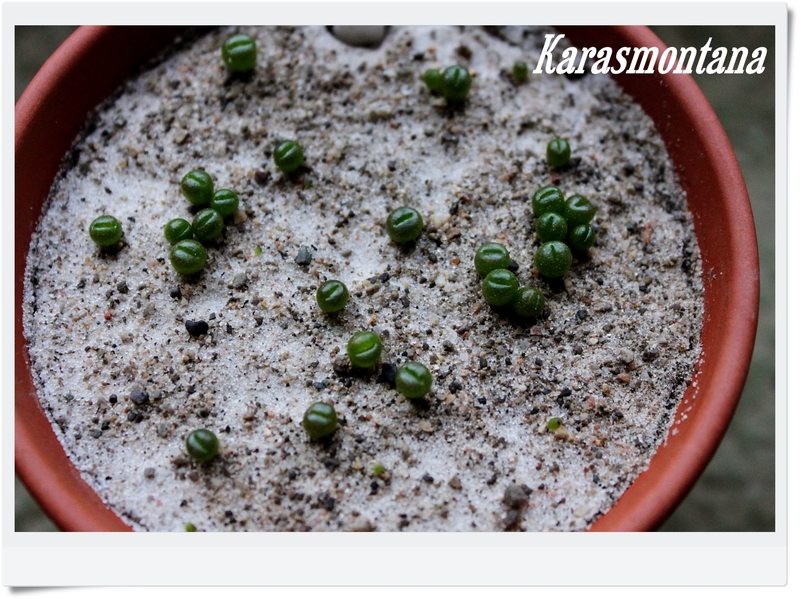 The little lithops are doing well. I’ve been ignoring my blog as nothing is really happening right now. 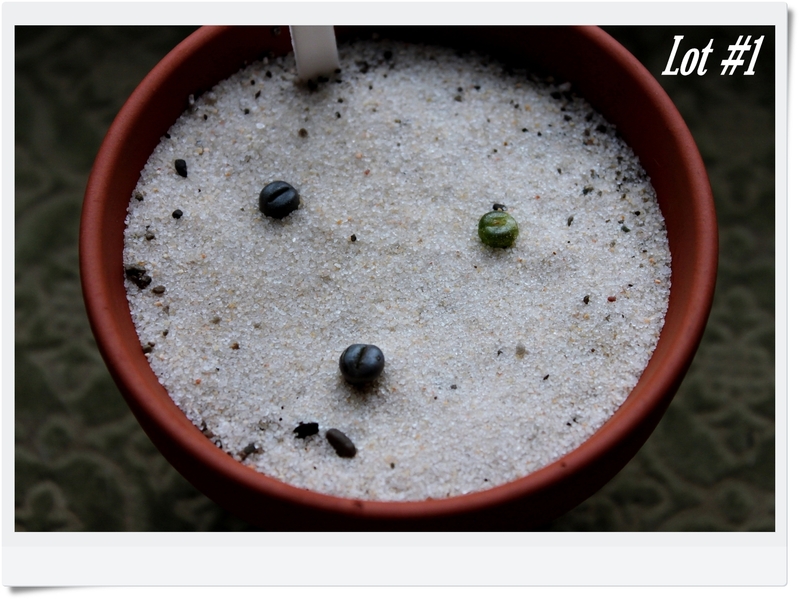 Lithops grow so slowly…I’m not seeing much change at all these days. 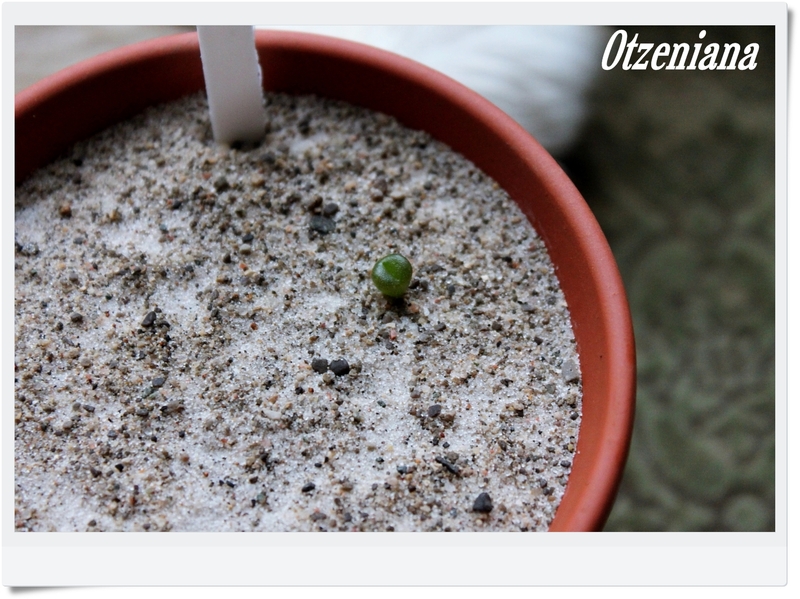 The little green seedling from Lot #1 still doesn’t look very good. I’m not sure if it’s just starting to grow it’s adult leaves or if it has suffered some kind of damage. That Lot still isn’t firmly rooted in their new pot following the transplant but it’s been more than a few weeks so I don’t think I’m at risk of losing any. Karasmontana took a spill this morning when a curious Aussie stuck his nose into the pot, but I don’t think any damage was done.